Emotions are powerful. They can energize and motivate us and they can bring us to our knees. They put the spring in our step and take the wind out of our sails. Emotions are God-given and to be honored, not suppressed. Some of us are more emotional than others and this is sometimes seen as weakness. In reality, the more we are in touch with our emotions, the more we are in touch with our heart, the hearts of others and the heart of God. What grieves your heart? Is it rejection? Abandonment? Loss? Unfaithfulness? Abuse? Being misunderstood? Jesus suffered all of these. He knows all about pain. He endured it all for our sakes and to save our souls from death and eternal separation from God. I cannot even fathom how it must have grieved God to see His only Son hanging there on the cross, pierced and bleeding for our transgressions. What grieves God the most today? It grieves God when we deny our emotions and we stuff, suppress, and ignore the still small voice deep inside otherwise known as the Holy Spirit. God is always speaking to us. The question is are we listening? Emotions are one of the ways God speaks to and thru our hearts. But we must allow ourselves to be sensitive. It takes a lot of courage and the grace of God to do this. Both men and women struggle in this area of emotions. Society has taught us it is weakness to express emotion and that it is shameful to cry. The truth is there is no shame in crying. The shame is in hardening our hearts and putting up a wall around them. When we cry, it shows we care. Do you think God didn’t cry when he saw Jesus on the cross? Do you think he doesn’t cry when he sees injustice and mistreatment? Although others may shake their heads in disgust like the Pharisees did to Jesus, God sees what each of us has and is going through and He cries with us. He does not mock, jeer, or judge like the crowds did. People, like myself, who have been wounded much by the punches of life, have a lot of tears. But God promises that one day He will dry every tear. He has captured them all in a bottle. He sees every punch thrown at us because He allowed it to happen. The good news is this. God never wastes the pain and there is a purpose in every punch. We may not understand at the time and that is where we have a choice. We can either respond in doubt and unbelief, or in trust and faith. Pain is how our faith grows stronger. Every punch life throws at us is another opportunity to trust God. As we remember what Jesus went thru on the cross, how we was abandoned by his closest friends, and even by God himself, let us remember – Sunday is coming! Victory over our pain and circumstances can be ours when we put our faith in Christ and not in men. What punches has life thrown you, dear child of God? How many tears have you cried? How many times have you been judged unfairly or misunderstood? Rest in the knowing that God sees all and he is faithful to wipe away every tear and replace them all with unspeakable joy. Until then, do not harden your heart or put up a wall. Reach out to others who are hurting and God will reach out to you. 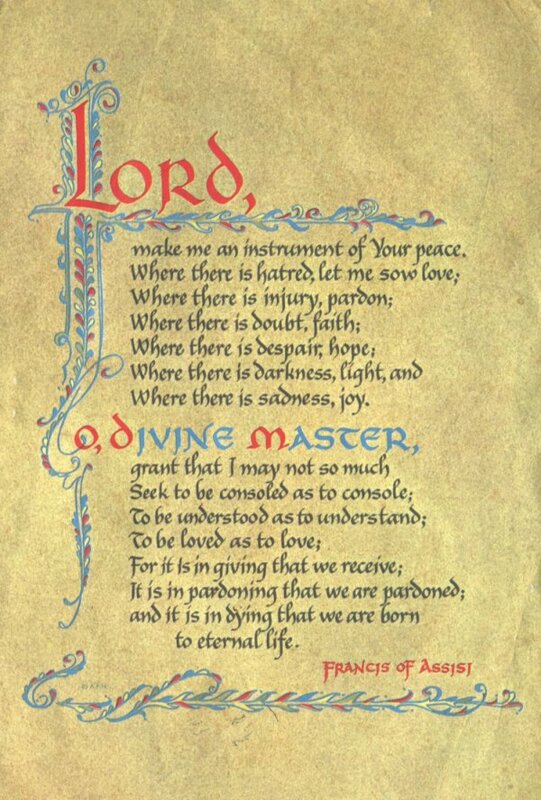 Until next time, I leave you with one of my favorite prayers by St. Francis of Assisi and I encourage you to embrace both the joy and the suffering of the cross. Jesus paid for all our sins and indeed He is risen. Happy Resurrection and to God be the glory! Previous Article Has Easter Lost Its Meaning?